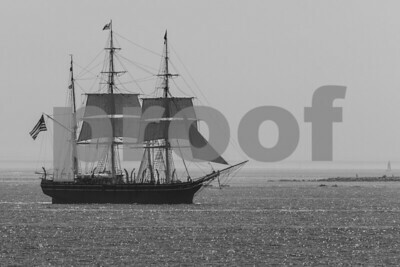 "The Charles W. Morgan is the last of an American whaling fleet that numbered more than 2700 vessels. 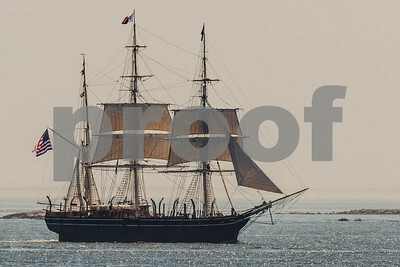 Built and launched in 1841, the Morgan is now America's oldest commercial ship still afloat - only the the USS Constitution is older." 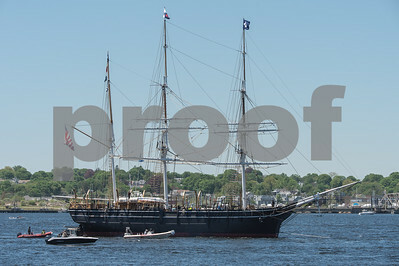 In preparation for her 38th voyage, the Charles W. Morgan was towed from Mystic Seaport in Mystic, CT to New London, CT on 5/17/14. 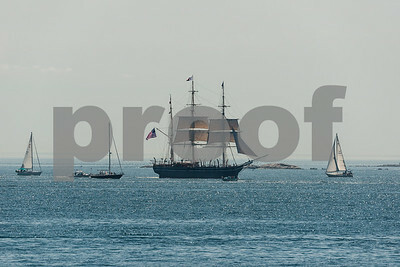 For information on the Charles W. Morgan's 38th voyage, click here. 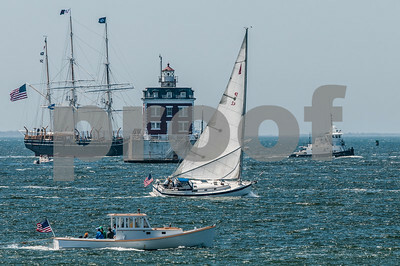 Charles W. Morgan heading up the Thames River to New London after second sea trial on 6/8/14. 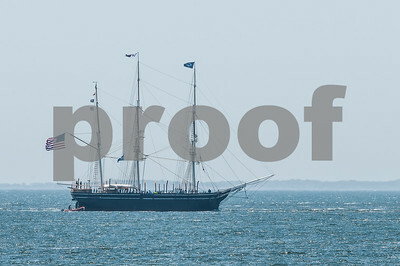 Charles W. Morgan heading into Thames River after second sea trial on 6/8/14. 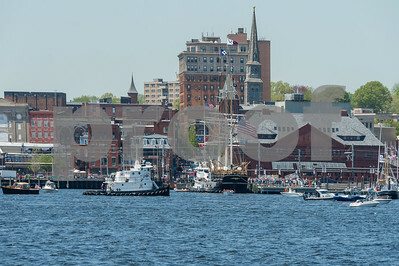 The Charles W. Morgan being towed from Mystic Seaport in Mystic, CT to New London, CT for final preparations for her 38th voyage. 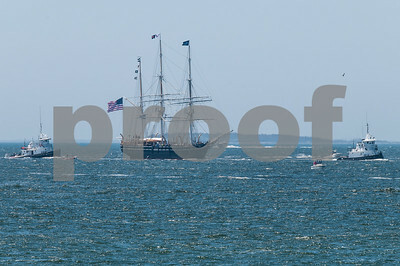 Charles W. Morgan being towed from Mystic Seaport to New London. 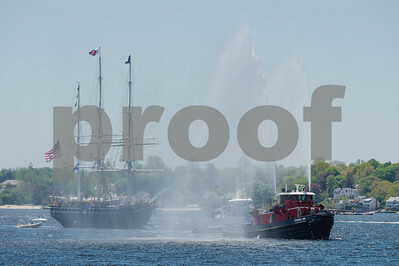 Charles W. Morgan being towed from Mystic Seaport in Mystic, CT to New London, CT proceeds up the Thames River toward New London behind spray tug boat. Charles W. Morgan being towed up the Thames River to New London. 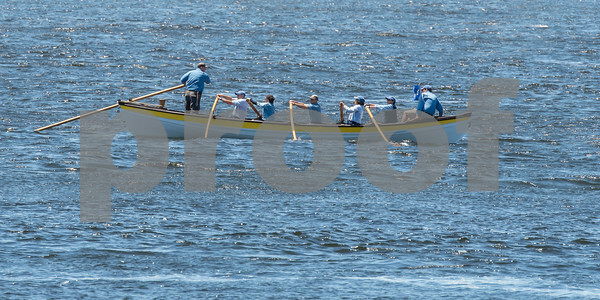 Whaleboat crew rows up the Thames River following the Charles W. Morgan being towed from Mystic Seaport to New London. 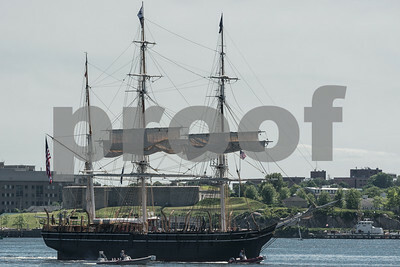 Charles W. Morgan arrives at New London CT on 5/17/14 for final preparations for her 38th voyage.